Graham McTavish on TORn Tuesday 12noon PT TODAY! 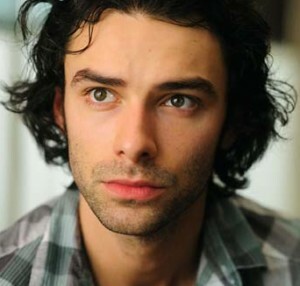 Aidan Turner (born 19 June 1983) is an Irish film and television actor. He is perhaps most notable for playing a vampire, John Mitchell, in Being Human (2009-2011), a drama-comedy television series first aired on BBC Three, a United Kingdom television network. He briefly appeared, uncredited, as Bedoli in the first episode, “In Cold Blood” (2007), of The Tudors, an Irish/Canadian-produced historical-fiction television series first aired on Showtime, an American premium-television channel. Turner also appeared as Ruairí McGowanre in two seasons of The Clinic (2008–2009; 18 episodes), a medical-drama television series first aired on RTÉ One, an Irish television channel. He appeared as Dante Gabriel Rossetti in Desperate Romantics (2009; six episodes), a costume-drama television series first aired on BBC Two, a U.K. television network. Turner has also appeared in several films, including two short films as well as appearing as Mal in the feature film Alarm (2008). In July of 2012 it was announced that Aidan was cast as Luke Garroway in the big-screen adaption of the popular young adult supernatural series The Moral Instruments. The first film, The City of Bones, hits theaters Wednesday, August 21, 2013. The second is slated for a 2014 release.